Stitch Of The World is her sixth album and it’s everything you could ever want. 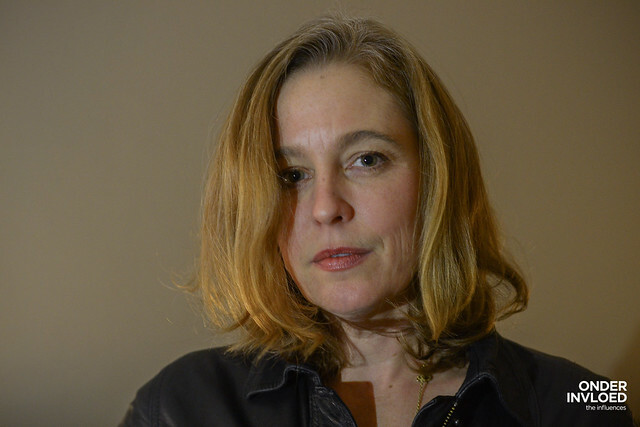 Tift Merritt’s voice is stunning as always, her songwriting more urgent than ever. In short: a real treasure. Whether it’s Dusty Old Man, Heartache Is An Uphill Climb, Something Came Over Me or – the song recorded in this session – My Boat; there isn’t a mediocre song on the record. In the 9,5 years I’ve been running this project, I’ve often realized what a lucky man I was. Getting to record many of my favourite singers, often in a fairly intimate setting, is a privilege I don’t take lightly. Being a self-taught filmmaker – using really basic equipment, I tend to think at some point someone will turn around and tell me I’m delusional to even think I can get away with it. But it hasn’t happened yet and, more often than not, I end up really happy with the results of recordings. That goes for this one too. Many times I’ve found myself in in awe of Tift Merritt, be it by her own music or singing with other favourite bands like Hiss Golden Messenger and Andrew Bird. I know many musicians, talented singers themselves, who start to absolutely rave when her name is mentioned. When Stitch Of The World was released, on which she collaborated with Iron And Wine’s Sam Bean, for weeks I couldn’t listen to anything else. Imagine my joy, sitting opposite of her and Eric Heywood, filming these songs in a room at the Hotel American in Amsterdam. Luckily, one of the positive things of – great – music is that it can lift you up and offer you a shimmer of hope and light. No matter how dark it gets. Merritt’s work certainly does just that. Merritt is supporting Jason Isbell in Europe as we speak, in what looks to be her last tour in a while. Watch her tour dates here.